The Camino de Santiago is now the setting for a new AR audio podcast. 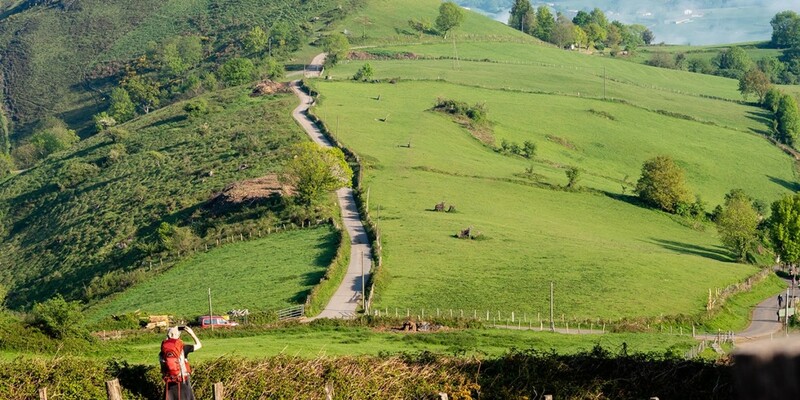 For centuries, the Camino de Santiago in Spain—also known in English as “The Way of Saint James”—has been a destination for Christian pilgrims from all walks of life. Some come for the scenic hiking through rural villages across France and Spain. Others come for religious reasons as they make their way toward the cathedral of Santiago de Compostela in the coastal Spanish city of Galacia. Yet, for many, it’s also been a pilgrimage of another type—a path for processing some of life’s biggest confusions and disappointments—while sharing stories with fellow travelers. But what if those of us who can’t make the journey could still walk with the pilgrims in another way—regardless of where in the world we are? Combining radio-level quality journalism with cutting-edge technology, a small team of developers and creatives has created an augmented reality audio podcast. The experience, “Pilgrim,” lets listeners anywhere around the world digitally walk alongside hikers while hearing their stories—thanks to augmented reality-enabled sound technology that’s part of a new wave of AR storytelling that goes beyond what the eye can see. A radio journalist with the BBC, Hutchinson first gathered stories for “Pilgrim” while walking part of the path in 2015. The initial idea was to collect them for a radio documentary. Walking with them for varied lengths of time allowed that story to come out. 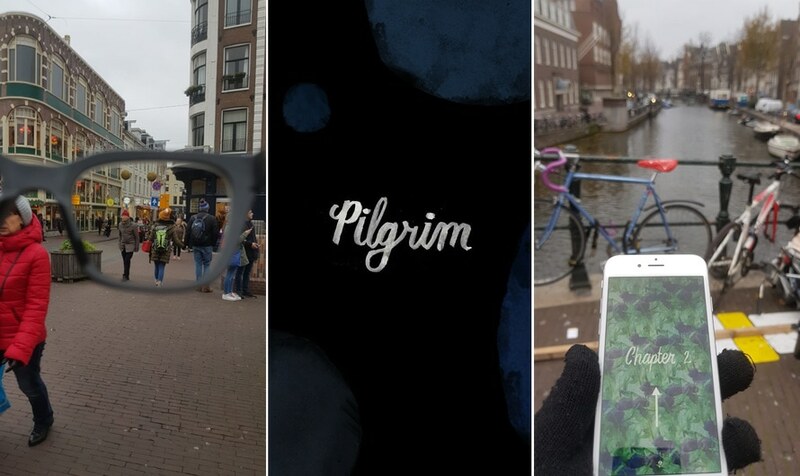 Pilgrim, an AR audio podcast, debuted on the streets of Amsterdam late last year. The experience—which debuted at the Amsterdam International Documentary Film Festival late last year—uses algorithmic storytelling that’s both flexible and adaptive to length depending on each listener’s own location, walking speed and interest. 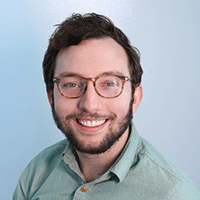 With Unity’s developer software, Pilgrim’s creators were able to include something Hutchinson described as a “latched, unlatched state.” When a listener stands still, they can hear footsteps and voices seem to walk toward them from behind. If the listener wants to hear more, they can begin walking as well—creating the illusion of “latching” a hiker to walk alongside them as the story unfolds. If they don’t want to hear anymore, the listener can stop, allowing the hiker to “unlatch” and continue on with their journey until another hiker nears. The software also works in another way: the longer a person walks with a pilgrim, the more that pilgrim opens up about their own life. “It’s this kind of stream of consciousness of what comes into their mind when they’re walking,” she said. While the stories are powerful on their own without technology, they become visceral when listening to them while wearing a pair of AR-enabled headphones like the Bose Frames sunglasses, which Pilgrim was developed specifically for using a beta version late last year. By using a mobile app to connect the sunglasses with a smartphone’s accelerometer, gyroscope and compass, Pilgrim’s creators digitally mapped out a path for someone to walk while hearing the stories. The one-hour experience consists of nearly a dozen stories from the trail, which were trimmed from two-hour interviews to five-minute clips. The interviews also weren’t structured, with open-ended questions allowing for pilgrims to process as they walked and talked. One such story: an 18-year-old woman whose mother had passed away, and she was reading her mother’s diaries as she walked. Another features someone who recently found out she would soon become blind.